The top of Vitranc (1631 m), Ciprnik (1747 m) and Visoka Peč (1749 m) are the peaks, located on the ridge between the valley of Mala Pišnica and the Tamar Valley and are easily reached from the mountain hut Mojčin dom. The trail first passes along a wooded ridge with views of Podkoren, the Karawanks and the mountains of Austria, and leads us to the top of Vitranc in about 15-20 minutes. Because of numerous storm trees, mountain meadows and larches, the top of Vitranc is a place with special energy, especially in the autumn. Ciprnik with Visoka peč offers one of the most beautiful views of the Julian Alps. 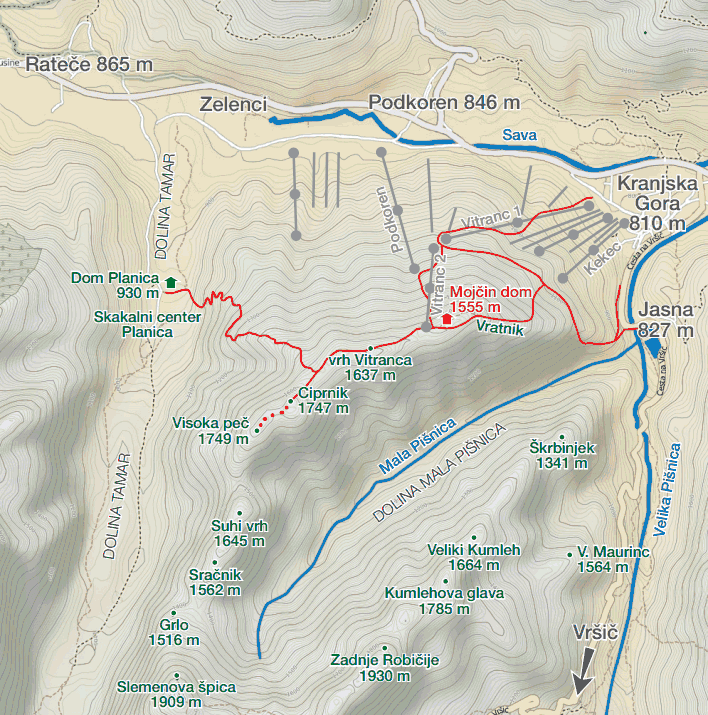 The trail to Ciprnik is marked and secured, while the trail to Visoka Peč is easy and unmarked. The walk from the mountain hut Mojčin dom to Ciprnik takes about 55 minutes and another 30 minutes to Visoka Peč. 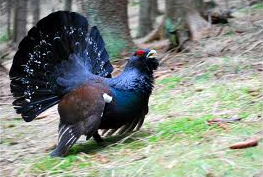 The capercaillie, which belongs to the category of endangered animal species, inhabits the ridge between Vitranc and Ciprnik. In order to protect the capercaillie, we stick to marked hiking trails and do not visit the peaks of the ridge during the mating season between May 15 and June 15.